Sigh…it gets old after awhile. And now my home town has a new baseball team. Guess what it’s called? 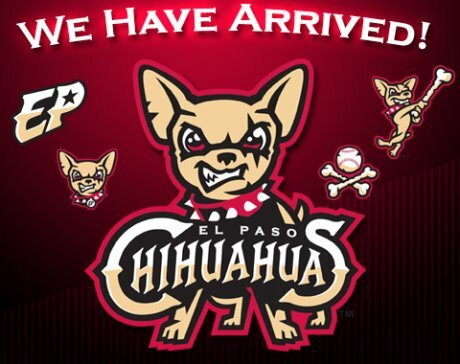 Go EP Chihuahuas! Have to admit, it’s growing on me. Congratulations! The critter looks mean. I read the team moved from Tucson, AZ (and they are a minor league affiliate of the San Diego Padres. Is that true? Also, how does one act mean playing baseball? Just kidding. Baseball does have some contact, I guess and I will follow the team. Well, we used to have the El Paso Diablos. That’s about all I know…how do you know more than I do?? El Chihuahua is a very noble dog. His bravery is bigger than its size. Don’t mess with one if you dare. Indeed, they’re tough little cookies! I know, it’s so stereotypical it’s brilliant!